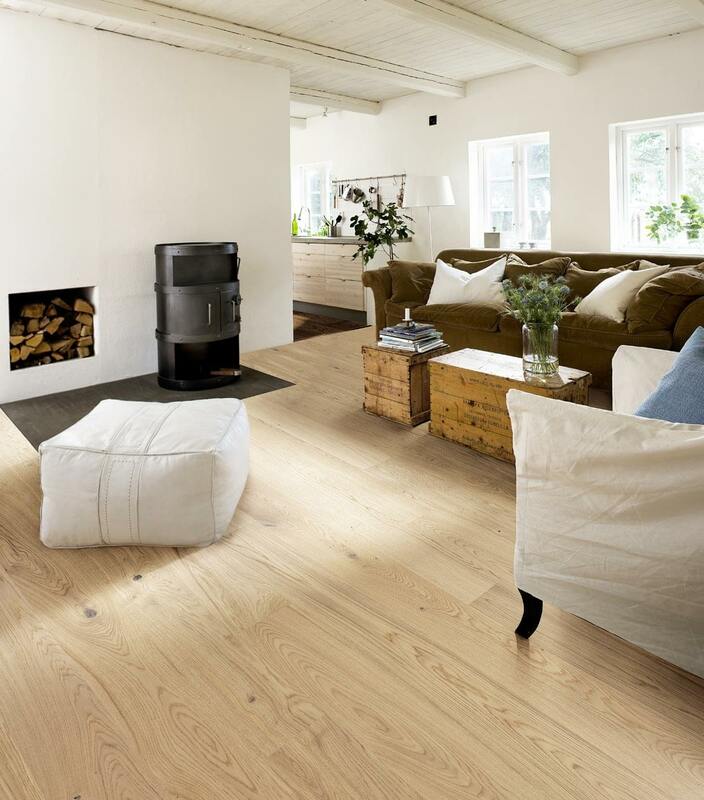 Oak Brighton (white pigmented, matt lacquer finish) is an exclusive 1-strip floor (board). This means that the visible part of each board (wearing surface) is taken from one piece of wood. Nature’s own design with knots and a lively structure.